Looking for alternatives to 10,000ft? Tons of people want Project and Portfolio Management software to help with time tracking, ease of completing timesheets, and issue tracking. What's difficult is finding out whether or not the software you choose is right for you. We have compiled a list of Project and Portfolio Management software that reviewers voted best overall compared to 10,000ft. Based on reviewer data you can see how 10,000ft stacks up to the competition, check reviews from current & previous users, and find the best fit for your business. "Good way to manage tasks: With Project, I like that I can keep track of all tasks, see how they relate to each other and where they fit in chronologically. I especially like that it will automatically calculate start/complete dates based on the amount of time it takes to complete and its predecessor tasks. " "Work with bigger control. : I have the ability to make different boards. Very easy to create our own dynamic visualizations with just a few minutes. Also I can customize anything: choose items to see, filter and sort them, customize properties, and sort how I want to view the report." 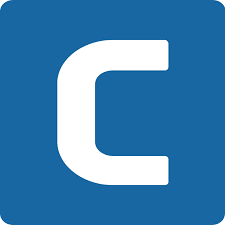 Clarizen is a leader in collaborative work management, bringing together cross-company project management, configurable workflow automation and real-time collaboration in an enterprise-grade platform. "Best Project Management and Collaboration Tool: Vast features, flexibility to customize, best workflow capabilities and cllaboration experience. Automated lot of workflows, communication and process improvement. Tremendously increased visibility of the work to all stakeholders, avoiding excel sheets and email communications. Robust Reporting and Dashboard features helping a lot." Scoro is a next generation business management software, combining all the features & tools you need for your business into one comprehensive system. "It is a very functional and easy to use program. : First of all I would like to highlight the ease of use, its interface is very friendly so its configuration is done in a very fast way so the learning curve is null, however, it should be noted that this program offers you a demonstration and a free trial which you can enjoy before installing the service formally, although it is a tool very easy to operate, a very intuitive software.On the other hand allows you to create, assign or transfer tasks to other members of the organization in addition to generating alerts or reminders automatically when entering them in the calendar, in addition to customize or create a database, both employees and customers, also offers the ability to link all active projects clearly to the weekly / monthly calendar, all modules or functions are interconnected through the dashboard or control panel for better management of the system, another aspect to highlight is the intelligent email that will keep all important information centralized in the mailbox of the company." More than 400,000 workers at some 400 companies—including Polycom, Qantas and Toyota – already use CA PPM SaaS to reduce costs, drive adoption and make smarter business decisions. "CA PPM a comprehensive solution for project portfolio management: The rich content of the solution makes it possible to quickly start and grow your PPM maturity. Next to that it can be nicely integrated within your whole back office (HR, Finance, P2P, ...). It is one of the only PPM tools that has a strong resourcemanagement capability and senario planning options on portfolio level. And when the standard is not sufficient for you, there is the ability to easily add your own configration items (objects, attributes) and for further automation of your PPM implementation there are the processes that enables you to automate your PPM capability to your needs (send notifications, automated reporting, etc.). Another strong capability is cost management which enables you an end 2 end overview of all your cost and budget throughout your portfolios." "comprehensive and effective : The project budgeting feature has been brilliant. This has allowed us to effectively to map out the runway of our project and made sure we arrive at points within the project with the right amount left! Due dates and custom alerts have really been helpful as well making sure the whole team stays on track without manually having to keep track of where people are within their own personal projects. The protfolio management also allows you to have several projects running alongside themselves which can really help keep track of smaller tasks within a larger project. " KeyedIn Projects is a supremely flexible solution for managing projects, programs and entire portfolios – from a single platform that provides a comprehensive view of the status of every project. Fast to implement and easy to use, KeyedIn Projects provides a unique approach to project and portfolio management by combining a strategy-led and execution-driven approach in a single solution. This significantly reduces your time to live and allows you to grow as your project management processes mature. "KeyedIn Review from Graphic Designer: KeyedIn allows our art department to work hand-in-hand with our sales department by creating an organized database of both customers and work orders. Our ability to keep all the info on each individual company saves us time & streamlines the project from the start." "Might&Magic PPM tools for almost every task you could imagine : This tool is highly customizable and allow you to tailor almost everything you need in it to your needs in managing requests, projects, programs&portfolios,workflows and resources all-in-one tool. And there are many options to integrate this tool with other solutions like CRM, HR management etc. You can start with one option (request management f.e.) and grow solution step by step to cover all you need." "Excellent PMO at a great price point: Innotas provides us with the ability to manage our complete portfolio of projects using a cloud-based solution, integrating in our budgeting and actuals for projects with the interface for IT personnel to quickly enter in their hours for the week." 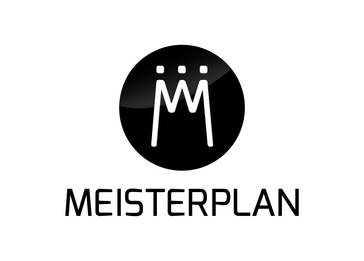 "Meisterplan simplified our resource management: You always see the current allocation of your resources and with simple drag and drop you move projects and recognize the changes for your resources and financials. Great and intuitive user interface for easy project portfolio planning. Especially the inclusion of financials is great! Interfaces with other systems and tools are interesting option for high level of integration in our entire software landscape." "Intuitive Portfolio and Project Management: The ability for Sciforma to align organisational strategy in planning, How intuitive the work spaces are when being used by someone who is not familiar with the system, I also like the Portfolio module with its enhanced multi project synchronisation for portfolio capacity planning. " "A complete PM solution: the software is scalable to your organizations project management maturity so you can start where you are with simple process and grow the process and functionality as your organization matures." 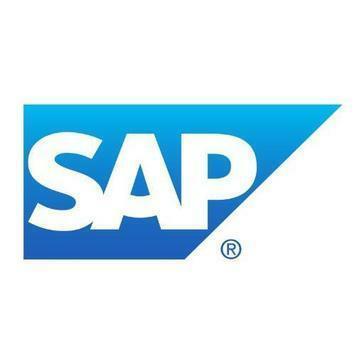 "Clunky but manageable: I like that it has the ease of SAP so if you are familar with SAP it is more of the same. That is also what I dislike about it- that it is clunky like SAP tends to be. " "Better Options Available: Having used a previous version and V6 of this product, I can say V6 cleaned up some of the clunky interface issues that made the product challenging for most users." 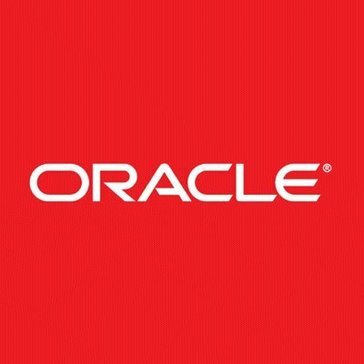 "Oracle Projects for PA billing and accounting: Sturdy product which has been around for a long period of time. We use it heavily for PA billing, costing and budgeting purposes. We are a global company in over 160 countries and Project Accounting has been used wide;y in all the countries." " Alternative to direct the processes of a project: it comprises a specific cluster of operations designed to achieve an objective with a scope, resources, start and end established, so that the software is well structured." 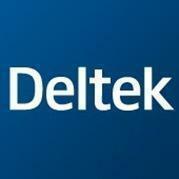 Deltek's Project & Portfolio Management is a solution that helps businesses and organizations drive project and portfolio management through informed project selection, realistic planning, reliable execution and, ultimately, consistent project success. "Technical Designer: The Deltek platform allows us to schedule people and resources to projects and review what is necessary." ONE2TEAM is a new generation SaaS Project Management software aiming at securing strategic and complex projects’ operational success. "No going back! : We liked: - The administration/configuration flexibility: we have complete autonomy to customize One2Team and make it fit our needs. - Powerful and intuitive management features: cockpit for KPI tracking, slideboard / gridboard for advanced data visualisation.. - Document versioning system and notifications features are really helping us in terms of project accountancy and traceability - One common, shared space: no reporting required, the information is shared in real time - One2Team's support team reactivity / Frequent product updates and new functionalities releases "
EcoSys EPC (Enterprise Planning & Controls) is fast becoming the global software standard for the project controls industry. "Ecosys for Project Cost Control: one tool at enterprise level with standard coding to keep control on budget, cost and margin of all the running projects. " "Best Project & Work Management : Project Management software used for day to day resource time sheet management, project financials, weekly schedule management. This has been a great asset in our PMO space. " Hi there! Would you like help finding solutions similar to 10,000ft?